View or download the score (high voices). "Repent, the kingdom of heaven has come near." For three-part unbroken or men's voices, unaccompanied. The piece may be transposed within limits to suit the available voices, but without mixing men and women. 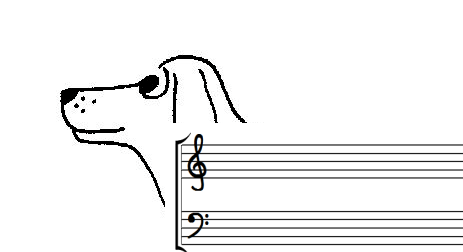 For unbroken voices, choose anything between D Major (all altos) and A Major (all soprano), to give three equal parts. For men's voices, C Major allows for three-part basses, E Major allows TTB and A Major gives three tenor parts. Written to mark the baptism of Jonathan Ward, this short piece takes the Latin text of the opening of Matthew 3, that John the Baptist's call to repentance is the fulfilment of Isaiah's prophecy. It fits baptism services and occasions in Advent that tell of John the Baptist.